If you are you looking for inspiration for the school half term in October we have put together a list of some excellent self catering holidays across the UK and Ireland. 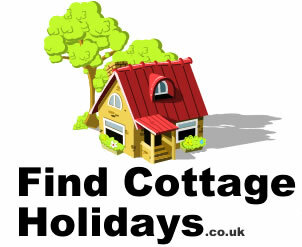 We have included a range of self catering accommodation including cottages, apartments, holiday flats, lodges and mobile homes, that all comfort and a great base for your holiday. Whether you are looking for a short break or holiday, lots of beds or a cosy cottage, countryside or coastal location, you will find something for you. The English south coast offer the best of the weather and tends to be milder in October which makes it a popular destination. Although Cornwall and Devon are always very popular, particularly during the summer, the fact that they are a long journey for most people means that other areas of the English south coast are also popular during October including the Isle of White, the New Forest, Bournemouth, Brighton and Eastbourne. Away from the south coast there are plenty of great English coastal and rural locations to head to including: Norfolk Broads, Yorkshire Dales, Northumberland Coast, Lake District and the Cotswolds. Beyond the English borders there is plenty of beautiful countryside and dramatic coastlines to explore including: Brecon Beacons, Snowdonia, Pembrokeshire, Cairngorms, Loch Lomond, Edinburgh and County Wexford to name just a very few! It may be October but school half term is still a popular time to get-away and so don’t leave booking your self catering holiday accommodation too late. If you would like to check last minute availability please call 0345 498 6152 to speak to a team that can advise on cottages, holiday parks and lots more.